Don Q may have only relaunched in the US about a decade ago, but the Puerto Rican rum brand’s history goes back wayyyy longer than that. Like, a century-and-a-half longer. They have such deep roots to their homeland, in fact, that in a country known for rum, they’re said to be the preferred brand, controlling about two-thirds of the market. Their story includes a famous literary character, a long family history, and even the invention of the piña colada. But Don Q is about more than beachy cocktails -- the brand has rallied to aid their community in its time of need, too. Here’s everything you should know about their legacy. In the aftermath of Hurricane Maria, millions of people in Puerto Rico are still without power, and many of those lack access to running water, too. Four days after the Category 4 storm made landfall on September 20, Destilería Serrallés, Inc (Don Q’s producer) had come up with a clever way to use their rum to help fundraise. They partnered with bars in more than a dozen US cities -- including Miami, New York, and Houston -- who each created a special Don Q drink menu, with Destilería Serrallés matching the proceeds and donating the funds to relief efforts. Serrallés also established an “Adopt a Bartender” program to help connect unemployed Puerto Rican bartenders with prospective temporary positions in the US. (More than 80 bars have offered to help via employment or housing.) Since October 15, Destilería Serrallés has helped lead solidarity and relief brigades, which organize volunteers, including its employees, to deliver 800-1,000 plates of hot food per day to remote, hurricane-affected communities in the southern part of the island. In total, Don Q has contributed to more than 160 fundraisers to help the island -- all while their distillery, which is based in the southern region of Puerto Rico, was without electricity for weeks itself. Don Q is one of the oldest spirits brands around, and for six generations, it’s been run by the same clan: the Serrallés family. 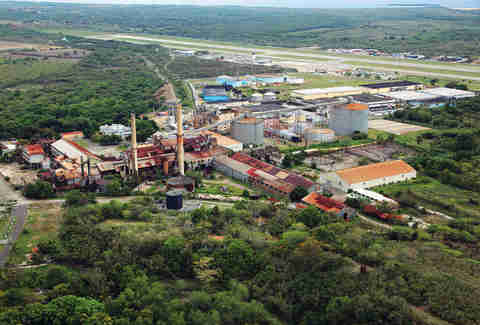 Their story dates back to 1820, when Juan Sebastián Serrallés left Spain and established a sugarcane plantation in Ponce, Puerto Rico (where the operation remains today). However, it wasn’t until forty years later that the spirits business was officially born, when his son, Don Juan Serrallés, returned from his studies in Europe and started making casks of rum on his own sugarcane plantation in Ponce, selling his first batch in 1865. Today, there’s still a sixth-generation family member, Roberto Serrallés, in the company leadership. The liquor brand’s namesake is one of the most influential works of Spanish literature: Don Quixote. According to the family, the name was chosen both because it’s one of their favorite books, and because they saw parallels between Don Quixote’s quest to find a perfect world and their personal quest to make a “perfect” rum (a reasoning your high school literature teacher would surely appreciate). Since they landed on the name in 1934, the label has always held the shortened version of his name, though: Don Q. 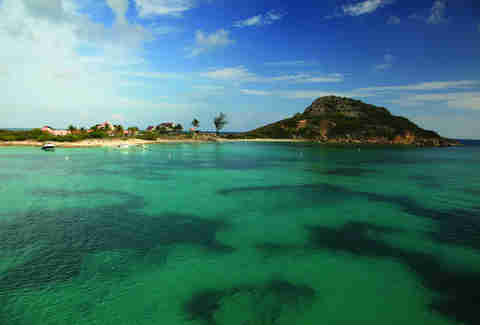 So what does a river have to do with making rum? Here’s an easy way to sound smart at your next cocktail party: Don Q’s process starts by diluting molasses with water (there’s that Río Inabón, again). The mixture is then combined with a proprietary yeast to ferment into a “molasses beer,” which is distilled in a five-column still, and voilà: the beginnings of rum. 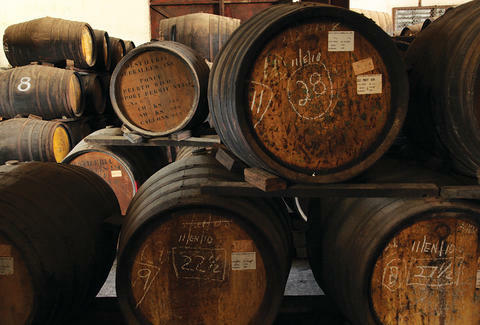 Once distilled, each rum gets aged in American white oak barrels for anywhere from three years (Spiced), to nine years (Single Barrel, 2007), and up to 12 years for the Gran Añejo (which gets blended with older rums using the Solera aging system). Even the flavored varieties get aged for at least a year, and are made with natural ingredients like fresh mint and passion fruit (no additives or artificial colorings here, thanks). Think you need to go to Europe to see a highly photogenic castle? Think again. 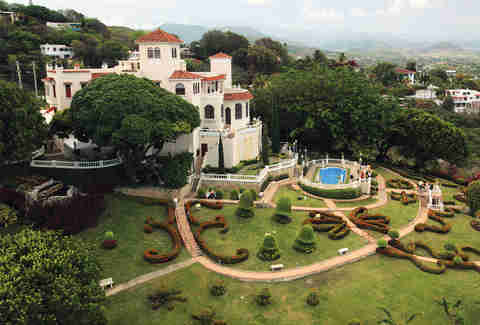 In 1935, Juan Eugenio Serrallés, the founder’s son, built Castillo Serrallés: a four-story, Spanish Mediterranean-style building that overlooks the city of Ponce. It served as the family home for 70 years, but they have since donated the castle to the city and it’s now operated as a museum dedicated to the Serrallés’ legacy. (Meaning that it’s totally open to the public for tours.) If you were watching Disney Channel back in 2009, you might have even caught a glimpse of the castle when it served as part of the set for the TV movie Princess Protection Program. If you like piña coladas… well, you should thank Don Q. 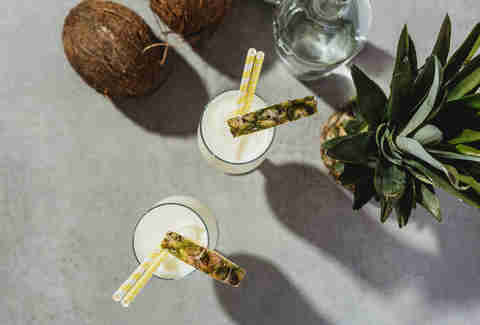 While pinning down the true origin story for a cocktail is like trying to get a bartender to make you an artisanal mojito during Friday night happy hour (read: pretty much impossible), the most widely-accepted lore of the piña colada is said to involve this rum. The story goes that in 1954, Ramón “Monchito” Marrero, a bartender at the Caribe Hotel in San Juan, Puerto Rico, was tasked by management with concocting a signature drink. They specifically asked for a beverage that represented the country, so he mixed up Don Q rum, cream of coconut, and pineapple juice -- and created the drink that’s now synonymous with tiny cocktail umbrellas. Apparently, the hotel’s piña colada was so good that Joan Crawford reportedly said it was “better than slapping Bette Davis in the face.” (How’s that for a recommendation?) As for Marrero -- he continued mixing the cocktail at the hotel until he retired in 1989. Besides leading rum sales in Puerto Rico, Don Q also boasts a resume of awards; most recently, their spiced rum took home platinum at the 2017 SIP awards (which enlists actual consumers as judges). But they’re also staking a reputation for environmental responsibility, thanks to Roberto Serrallés, who joined the family business in 2004 after getting his PhD in environmental science. He designed an innovative waste reclamation system that, instead of sending the distillery's wastewater directly into the fields (which would flood during the rainy season) -- or disposing of it in the ocean, as most distilleries do -- it is now filtered and used to irrigate golf courses and local crops. Additionally, old Don Q barrels get recycled into mulch and solar panels provide much of the energy required to power the distillery. It's all part of the brand's mission to be more environmentally-conscious every day -- a quest worthy of Quixote, if you ask us.